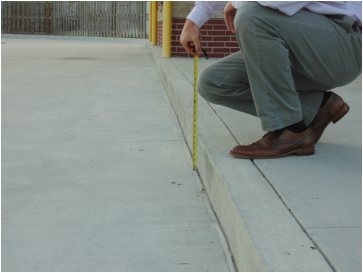 Poorly designed walkways, standing water, insufficient lighting, and poor maintenance procedures can contribute to unsafe or hazardous conditions. Our forensic specialists are trained to investigate and determine all of the contributing factors related to any incident. In most cases this requires comparing the applicable safety codes and standards to the subject incident.